Deposit and Credit Guarantee Fund (DCGF) has given the statutory responsibility to perform both the deposit guarantee and credit guarantee function through it's own "Deposit and Credit Guarantee Fund Act, 2073". In the DCGF Board there has been representation of six from the government and one from Nepal Rastra Bank. Obviously, DCGF is a government sponsored and administered separate entity. 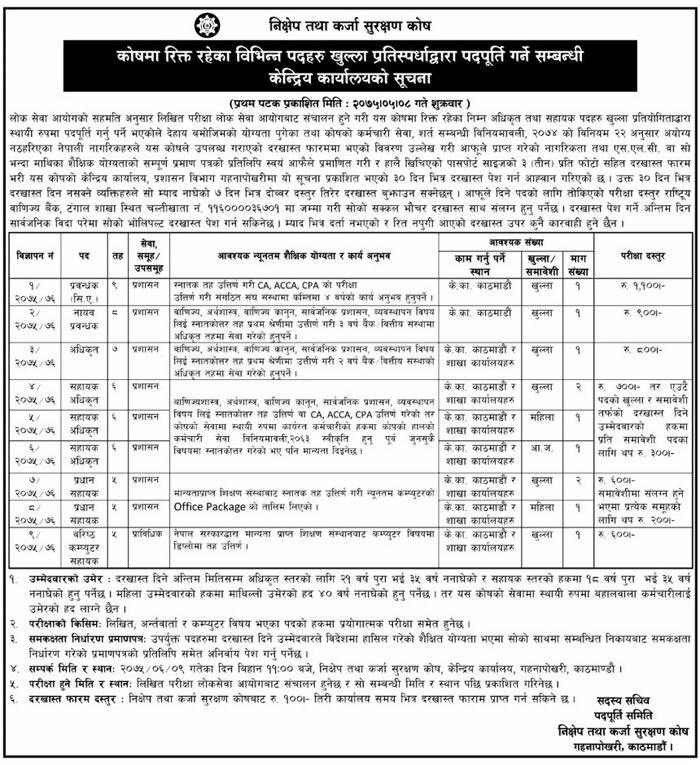 Deposit and Credit Guarantee Fund (DCGF) announces vacancy (published on 24 august 2018) for various positions of Officer and Assistant Level. The total no. of job openings is 57. Examination date and center will be published later. - Normal Fee: Ashwin 06, 2075 (September 22, 2018).